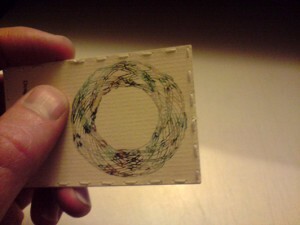 If your business is arts and crafts related you might be interested in these hand made business cards. I use them whenever I sell artwork in locally. These were created for the purposes of selling canvas paintings I’d made, and were meant to double up as price tags. Artists, photographers and wedding planners might find value in the DIY guide I am presenting. 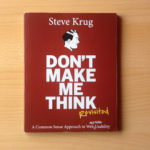 You don’t have to copy the exact formula, but do consider duplicating the idea itself. This guide assumes you know how to use Photoshop, and are familiar with a craft knife and a cutting mat. 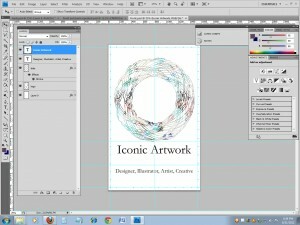 Decide the size of your business card, set at least 300dpi resolution, choose dimensions and import your logo. This logo is something I designed years ago and saved on my computer in high res. 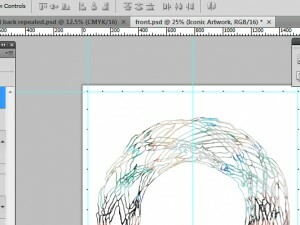 Use Photoshop guides to create margins and central points of origin. 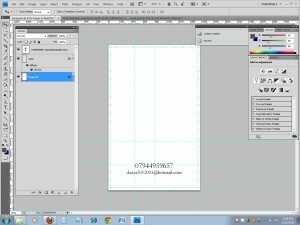 Use the PhotoShop type tool to create faint grey dots or full stops around the edges of the business card. 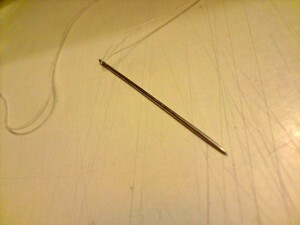 Later, these will be used for piercing the card with a pin, so a needle and thread can be used to sew the edges. For demonstration purposes, I’ve made the dots much darker to show up in this image but they only need to be light enough to see when printed on paper. 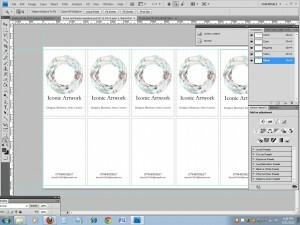 You can create a duplicate of what you already have and use that for the backside of the business card. If printing to A4 paper, do the maths and figure out how many you can get on one sheet of paper. If you use a high enough ink setting, you can use an inkjet printer for your designs. In this example the designs are printed on vellum (plasticized cotton) cream/ivory coloured premium laser and inkjet printer paper with a finely ridged surface. The paper weight is 100 gsm. 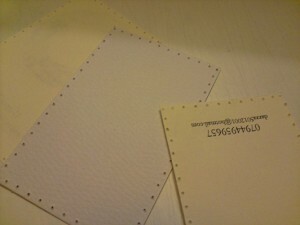 This is the paper I used. It is very good quality. I cannot remember how much I paid for this “Conqueror” paper but it was not cheap. I originally bought a few packs of it around 2006 for sending important letters or making job applications. It is of ideal quality for this project. 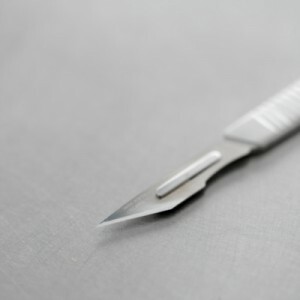 You need a clean sharp blade. Handle with care. Wrap old blades in masking tape and discard. 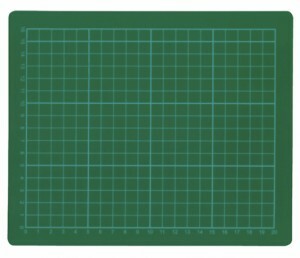 If you expect to be doing a lot of crafting, consider getting a self healing cutting mat (Amazon link). They’re also great to use as PC mouse pads! 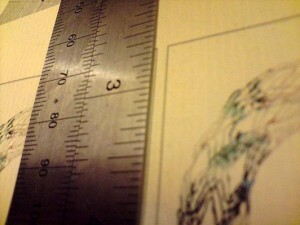 The cardboard back of a sketchbook will do if you do not have a proper cutting mat. Trim the borders away. A sharp clean blade is most important here. Use a metal ruler for this task. 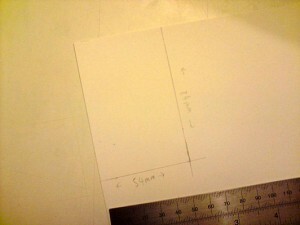 Measure out a rectangle a few mm larger than your Photoshop image. 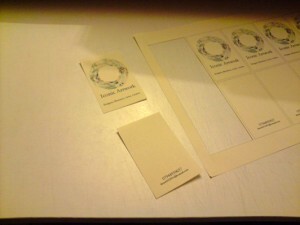 Use thick card, around 250gsm. It’s important that there is some thickness. Thick watercolour painting card may suffice. Be resourceful. 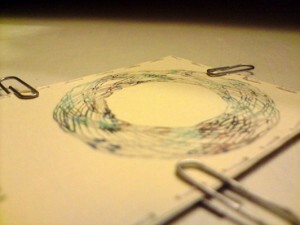 You want to line up the paper with card and then fasten it all together with four paperclips. 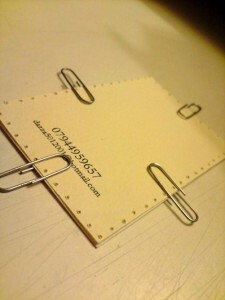 This will hold everything steady while you carefully press a thumb pin firmly into the card to create the holes. 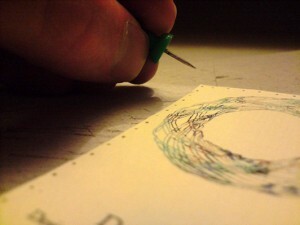 Begin pressing a board pin into each dot that forms the border. 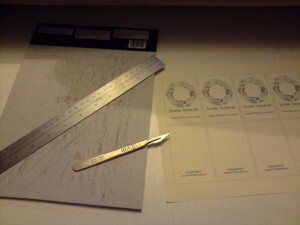 At this stage it’s a good idea to use the self healing cutting mat if you have one. Find some thread or cotton of appropriate colour. 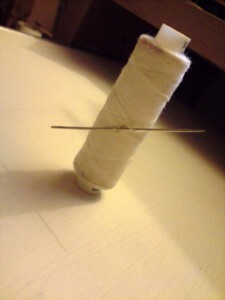 Double up the cotton for added strength and thread through the eye of the needle, tying off at the bottom. Make a nice knot. As you stitch the border, move the paperclips accordingly. Do not remove them completely or everything will fall apart. Just make way for each of your stitches. Tie off the loose end wherever you started. The top middle is best. You may want to add string or something extra like string or eyelets. To add string, tie on to one of the stitches. That is it. See if you can’t create a nice business card in a similar manner. I guarantee the effort you put into these things will always get a smile and a positive reaction. Don’t let them get bent out of shape. 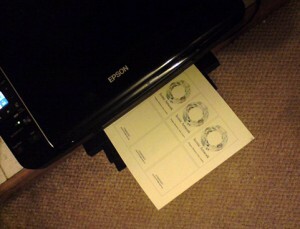 Keep them in a plastic business card holder so they do not get knocked or dog eared. If you have creative ideas for arts and crafts you’d like to share, let me know! It’s always cool to see what people can create, especially when they improvise due to a low budget.